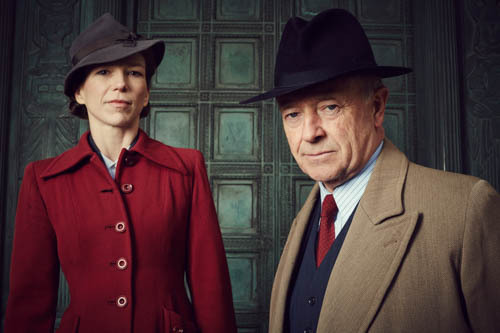 Jan 12 2015 update: Foyle’s War to end. Scroll down for the full announcement. “I’M a huge Foyle’s War fan. “I’ve seen every episode and have given dozens of box sets of it away at Christmas to various relatives and friends. Frasier star John Mahoney talking to me in the car park of Nantwich Town Football Club in Cheshire on a chilly day in January 2014. ‘The Dabbers’ play in the Evo Stik Premier League. But that’s not why we’re here today. John and I are sitting in his location base trailer during a break from filming Foyle’s War in a very grand house not far away. In truth, it’s a special thing for me to finally meet the actor who played Marty Crane in one of the greatest sitcoms of all time. And astonishing to realise that – at 74 – this is his very first role in a British TV drama. Chicago-­based John plays Andrew Del Mar, a retired Texas oil tycoon and former chairman of Global American Oil. 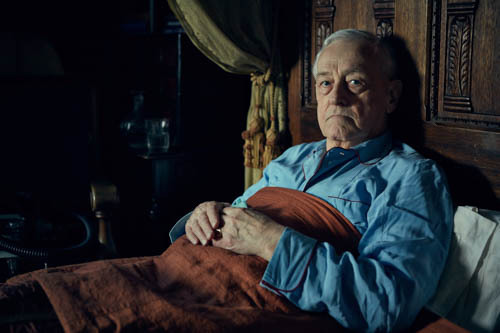 Now ailing and bedbound in the London home of his son Clayton (Nigel Lindsay). 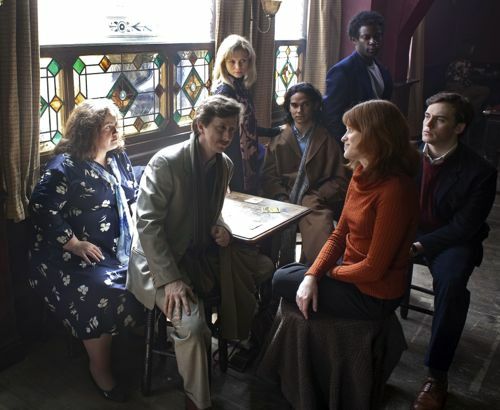 He appears in High Castle, the first of three new Foyle’s War films – series eight – on ITV at 8pm this Sunday (January 4 2015).